Do you dare have this much fun? Are you ready to have some crazy fun? To schedule and confirm your booking, call our hotline directly. Prior reservation is necessary. 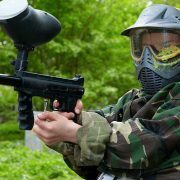 DISCLAIMER: We are NOT affiliated with any other paintball facility who claims to be part of our organization. 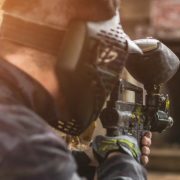 We are the ONLY one, Pursuit Games - Paintball Dubai, the very first and original Paintball facility in the Middle East since 1996. 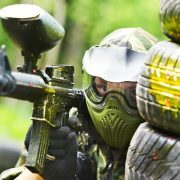 Come rumble with the best Paintball facility this side of Earth. Our 100,000 square feet arena is guaranteed to give you that Adrenaline fix. Very late night games can be arranged. Follow the Jebel Ali/Abu Dhabi signboards from the airport until you reach Sheikh Zayed Road. Continue straight for approximately 40km, and take Exit No. 13, which will direct you to the Jebel Ali Free Zone (JAFZ) towards gates 7, 8 and 9, and keep right. Remain on this road and proceed through the traffic light intersection until you approach the initial roundabout, and turn left. 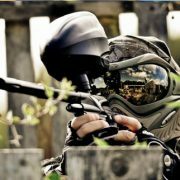 Pursuit Games - Paintball Dubai will be on your left. When driving from Abu Dhabi, exit onto Interchange 8 and follow the slip road on the right heading towards the Jebel Ali Free Zone (JAFZA) gates 7 and 8. Continue on this road and proceed through the traffic light intersection until you approach the initial roundabout, and turn left. 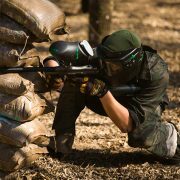 Pursuit Games - Paintball Dubai will be on your left.